Blazing-fast performance for both transactions and analytics is the goal of the new and emerging database category that Forrester calls translytical databases. Powered by in-memory technology and a scale-out architecture, this new class of database is designed to support both transactions and analytics without sacrificing transactional integrity, performance, scale, and analytical capacity. Translytical databases can have a hypertransformative effect on enterprise architects’ ability to deliver analytical insights at lightning speed. Oracle, SAP, and VoltDB are among the vendors that offer this technology now. Separate Systems For Different Workloads Are Affecting Business Growth And Innovation Enterprises have built technology stacks comprising transactional, operational, and analytical systems, making it extremely challenging for enterprise architects to access the right information at the right time to support the new business requirements. Translytical Delivers A Single Database For Transactions And Analytics Recent advances and innovations around distributed in-memory, data compression, multimodal data format, and tiered storage are enabling a new generation of distributed databases that can support practically any workload in real time. The Translytical Database Market Is Ramping Up Rapidly With New And Traditional Vendors Big database vendors such as IBM, Microsoft, Oracle, and SAP are expanding existing database platforms to support translytical, while smaller niche vendors such as Aerospike, MemSQL, and VoltDB are focusing on innovative and economical platforms. The European Big Data Value Forum 2017, jointly organised by the Big Data Value Association and the European Commission, will be held in Versailles, France (Palais des Congrès) from 21st to 23rd November 2017. The central topic of the conference is “Trusted AI for Smart Industry”. Check out our updated programme and speakers list. Keynotes and presentations will range from cutting-edge industrial applications of Big Data technologies, innovative business cases of the data economy, inspiring future visions, and insights on EU policy-making. Seats are filling up fast! with over 400 people registered in less than 2 weeks. Don’t wait, register to EBDVF 2017 now and book your trip to Versailles. Check out our event video here. MemSQL 6.0 RC introduces enhancements to manageability and resiliency, as well as exception handling support for extensibility. It also includes the enhancements to query processing and extensibility that were introduced in Betas 1, 2, and 3 with up to 80X performance improvement for group-by/aggregate queries. Benefits include fewer situations that require manual intervention, simplified application development, and improved availability. This early access version of the MemSQL 6 software is subject to the MemSQL Software and Services Agreement located at memsql.com/contracts, unless such terms are superseded by a separate written agreement between the parties (the “MemSQL License Agreement”). Notwithstanding anything set forth in the MemSQL License Agreement, the MemSQL 6 RC is for development, testing and evaluation purposes only. It is not licensed for production use, and is provided “as is” with no warranty. By downloading and/or accessing this early access software, you agree to such terms. To provide feedback to MemSQL about the beta, post on the #memsql-public-chat public Slack channel, or email feedback@memsql.com. Boca Raton, FL, October 3, 2017– CRC Press is pleased to announce the release of its newly published book, Game Programming for Artists by Jarryd Huntley and Hanna Brady. The world of content creation — including video games — has seen rapid and dramatic democratization this century. New software and technologies abound, making it easier than ever to express oneself through new creative avenues. The proliferation of the indie game scene and the professional games industry has included all sorts of voices: artists, philosophers, writers, musicians, designers, and more. In Game Programming for Artists, Huntley and Brady demystify coding for creatives who have little to no previous experience in computer science or programming. The book makes programming more accessible, in the hope of contributing to the spirit of invention integral to games and encouraging the multidisciplinary nature of medium. Whether in pursuit of personal projects or to better understand new ways to fit into a team, a solid foundation in programming is invaluable to those who want to create their own video games. The first step to learning anything isn’t always the hardest, but it’s certainly the most important. Without taking that first step, none of the other steps can happen. This desire to give more artists a place to start, an obvious first step, led to the creation of Game Programming for Artists. With this goal in mind, the book focuses on three pillars: an introduction to the basics of programming, a holistic view of how game engines work, and educational excerpts of code written in Unity. By utilizing a conversational approach to understanding programming, Game Programming for Artists provides a solid foundation from which a creator can explore their own projects. Game Programming for Artists is intended for any creative looking for their first window into game programming and is for students of every age. Jarryd Huntley is a leader in the greater Cleveland game development community. He teaches game programming at a community college and directs events to support local developers. When not in the classroom or at an event, he can be found visiting aquariums with his family or traveling to conferences with his guitar. Hanna Brady is a freelance game writer. She works on mobile and indie games. She is also published in the academic anthology Queer Game Studies. In her spare time, she writes fiction, travels, and plays board games with her awesome family. About CRC Press: CRC Press is a premier publisher of scientific, technology and medical resources, reaching around the globe to collect essential reference material and the latest advances and making them available to researchers, academics, professionals and students in a variety of accessible formats. CRC Press is a member of Taylor & Francis Group, an informa business. For more information, visit www.crcpress.com. If you would like more information about this topic, please contact Danielle Griffin at 561-998-2589 or email at Danielle.Griffin@taylorandfrancis.com. FOSTER CITY, Calif. – Sept. 21, 2017 – GridGain Systems, provider of enterprise-grade in-memory computing solutions based on Apache® Ignite™, today announced the breakout session schedule for the third annual In-Memory Computing Summit North America, taking place October 24-25, 2017, at the South San Francisco Conference Center. The Early Bird registration discount rate ends on October 1, 2017. The In-Memory Computing Summit (IMCS) is held annually in both Europe and North America. The conferences are the only industry-wide events that focus on the full range of in-memory computing-related technologies and solutions. The conferences are attended by technical decision makers, business decision makers, operations experts, DevOps professionals, architects and developers. The attendees make or influence purchasing decisions about in-memory computing, Big Data, Fast Data, IoT, HTAP and HPC solutions. 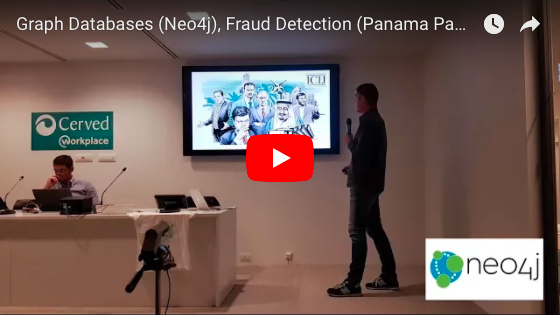 Global Resilient Trade Clearing with In-Memory Data Grids – Alexey Kharlamov, EPAM Systems Ltd.
Fast is a Must-Have, But Not Enough: Real-World Anti-Fraud Using an In-Memory Data Processing Engine – Ning Shi, VoltDB Inc. The Early Bird registration rate of $449, a 10 percent discount on the standard rate of $499, ends on October 1, 2017. Register via the conference website. The In-Memory Computing Summits are the only industry-wide events of their kind, tailored to in-memory computing-related technologies and solutions. They are the perfect opportunity to reach technical IT decision makers, IT implementers, architects, developers, and business decision makers who make or influence purchasing decisions in the areas of in-memory computing, Big Data, Fast Data, IoT, HTAP and HPC. Attendees include CEOs, CIOs, CTOs, VPs, IT directors, IT managers, data scientists, senior engineers, senior developers, architects and more. The events are unique forums for networking, education and the exchange of ideas that power digital transformation and the future of Fast Data. For more information, visit https://imcsummit.org/us/ and follow the events on Twitter @IMCSummit. GridGain Systems is revolutionizing real-time data access and processing by offering an in-memory computing platform built on Apache® Ignite™. GridGain solutions are used by global enterprises in financial, software, e-commerce, retail, online business services, healthcare, telecom and other major sectors, with a client list that includes Barclays, ING, Sberbank, Misys, IHS Markit, Workday, and Huawei. GridGain delivers unprecedented speed and massive scalability to both legacy and greenfield applications. Deployed on a distributed cluster of commodity servers, GridGain software can reside between the application and data layers (RDBMS, NoSQL and Apache® Hadoop®), requiring no rip-and-replace of the existing databases, or it can be deployed as an in-memory transactional SQL database. GridGain is the most comprehensive in-memory computing platform for high-volume ACID transactions, real-time analytics, web-scale applications and HTAP. For more information, visit gridgain.com. MOUNTAIN VIEW, Calif. (Oct. 3, 2017) – Redis Labs, the home of Redis and provider of Redis Enterprise, today announced momentous growth in the first half of 2017 and a record setting number of customer adoptions by enterprises across technology, healthcare, communications, finance, and retail industries. Redis Labs’ customers are featured Fortune 500 companies, including six of the top ten and 32 percent of Fortune 50 companies overall. Over 7,500 enterprises have now deployed Redis Enterprise in public clouds, in their virtual private clouds, or on-premises. This increase in customer adoption, particularly by Fortune 500 companies and mid-to-large size enterprises, was driven by an expansion of Redis Labs’ sales and marketing reach, and reflects increased market demand for database platforms that offer the high performance, true high availability, and seamless scaling necessary to power the next generation of applications. Series D funding – Redis Labs raised $44 million in a Series D round, led by Goldman Sachs Private Capital Investing. This brings the company to $86 million in total funding to date. Growing enterprise adoption & sales – Redis Labs secured premiere enterprise customers including Dell, General Mills, eHarmony, DreamWorks, Quest, Home Depot, Kohl’s, Overstock.com, Dealertrack, Chicago Mercantile Exchange, and SunTrust. The company’s industry leading database-as-a-service, Redis Enterprise Cloud, has over 70,000 registered accounts. Redis Enterprise Pack v4.5.0 release included Redis Enterprise Flash version 2 availability, with an option to include discovery service using the Redis Sentinel API. Redis Enterprise Cloud services were expanded to new Google Cloud Platform regions, including the Eastern US (us-east1), Central US (us-central1), and Northeast Asia (asia-northeast1). Redis Enterprise cluster node was proven to support over 650K ACID ops per second per node with the Dell EMC VMAX storage while keeping sub-millisecond database latency, highlighting the exemplary performance of Redis Enterprise when used as a persistent, transactional database. Redis Enterprise Flash on the new Intel Optane SSD increased throughput by nine times, a major improvement over the previous generation P3700. Redis Enterprise Pack Tile for Pivotal Cloud Foundry, which enables automated deployment using BOSH, allows Pivotal Cloud Foundry customers to run the highly available, seamlessly scaling Redis Enterprise as a data microservice within their platform. Docker image preview, which allows enterprise developers to use local development environments to build and test applications with Redis Enterprise Pack. Redis Cloud Private preview brings the self-service capabilities and the power of Redis Enterprise Flash technology and multi-region replication to secure VPC environments of customers. Redis Enterprise Pack version 5.0 preview includes geo-distributed, active-active Redis applications with CRDTs, fast search & query in Redis with in-memory indexing, and native JSON processing in Redis. Strategic alliances – Redis Labs partnered with Pivotal, announcing a new BOSH-based tile for Pivotal Foundry customers to deploy Redis Enterprise. The company’s partnership with HashedIn Technologies supports its scaling objectives in India. Overall, partner deals grew 60% in volume and over 300% in deal value. Industry accolades – Redis Labs garnered multiple industry awards including DBTA 100 2017 Companies That Matter Most in Data, 2017 Big Data 100 Coolest Emerging Big Data Vendors, and InfoWorld’s 2017 Tech of the Year. Redis Labs was named among the top four providers of Database-as-a-Service (DBaaS) in “The Forrester Wave™: Database-As-A-Service, Q2 2017” report and was named a strong performer in the “The Forrester Wave™: In-Memory Databases, Q1 2017” Redis was named the Most Loved Database in Stack Overflow’s 2017 Developer Survey. saw a 50 percent increase in attendees. For more information on Redis Labs, visit: https://redislabs.com/. Redis Labs, home of open source Redis, the world’s fastest in-memory database platform, provides Redis Enterprise (Redise), as a cloud service and as downloadable software, to over 7,500 enterprise customers. The high performance, true high availability and seamless scaling of Redise, are top-ranked by industry analysts, and power use cases such as high speed transactions, queuing, user session stores, and caching, in e-commerce, social, personalization, IoT, metering, fraud detection and other real-time applications. Redis, voted the most loved database, rated the #1 cloud database, #1 database on Docker, #1 NoSQL datastore, and fastest growing NoSQL database reduces application complexity, simplifies development, accelerates time to market and provides unprecedented flexibility to developers. CUPERTINO, California and NEW YORK; Aug. 29, 2017 – Apple® and Accenture (NYSE: ACN) are partnering to help businesses transform how their people engage with customers through innovative business solutions for iOS. The partnership will take full advantage of the power, simplicity and security of iOS, the leading enterprise mobility platform, and Accenture’s capabilities as a leader in industry and digital transformation to help companies unlock new revenue streams, increase productivity, improve customer experience and reduce costs. Accenture will create a dedicated iOS practice within Accenture Digital Studios in select locations around the world. Experts from Apple will be co-located with this team. Working together, the two companies will launch a new set of tools and services that help enterprise clients transform how they engage with customers using iPhone® and iPad®. The experts will include visual and experience designers, programmers, data architects and scientists, and hardware and software designers. Internet-of-Things (IoT) services featuring new tools templates and predesigned code to help clients take greater advantage of the data from IoT platforms in their iOS apps, putting more power into the hands of workers. For more information regarding the Apple and Accenture partnership, please visit www.accenture.com/apple or www.apple.com/business/partners. © 2017 Apple Inc. All rights reserved. Apple, the Apple logo, iPhone and iPad are trademarks of Apple. Other company and product names may be trademarks of their respective owners. NoSQL databases, such as Apache Cassandra, are often used in operational applications. However, a new breed of databases, such as VoltDB, are revolutionizing the fast data landscape. VoltDB is an in-memory NewSQL transactional database for fast data applications, currently in use by major telcos, financial services, and many other markets. To display the competitiveness in performance between VoltDB and Cassandra, two separate benchmarks were compared. The first benchmark was published in 2015, and was sponsored by VoltDB. The second was also published in 2015 by End Point, and compared Cassandra against Couchbase, HBase, and MongoDB. This study was commissioned by DataStax, whose main product is powered by Cassandra. Both of these benchmarks are from 2015. However, there are no reasons to suspect more current versions are less powerful. Both systems have become slightly faster over time, but not significantly so. As such, this comparison is still reasonable. 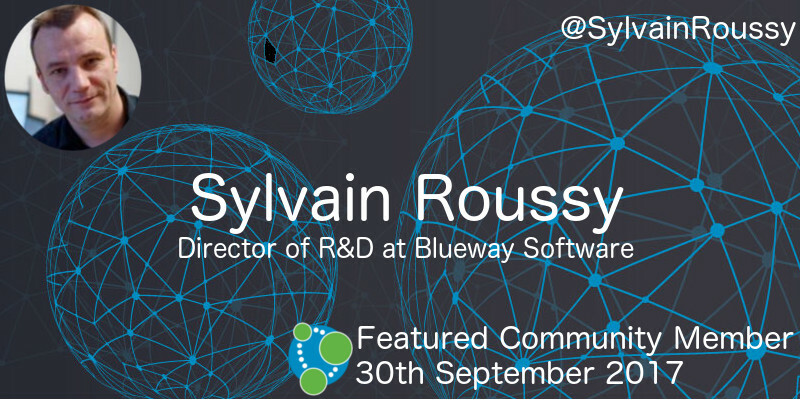 This week’s featured community member is Sylvain Roussy, Director of R&D at Blueway Software. Sylvain has been a member of the Neo4j community for a number of years now, and is the author of a French book on Neo4j – Des données et des graphes. He is currently working on a new book which demonstrates developing an graph based application from idea to production. All presented in dialogues of the project team. He’s also been organising the Neo4j meetup in Lyon since 2014. On behalf of the Neo4j community thanks for all your work Sylvain! 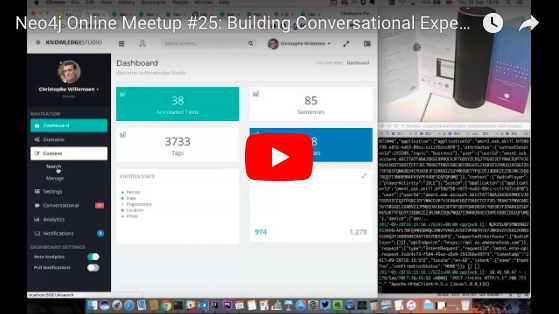 In this week’s online meetup GraphAware‘s Christophe Willemsen showed us how to combine Amazon Alexa and Neo4j to build great conversational experiences. You can catch a live version of this talk at GraphConnect NYC 2017. Christophe will also be hanging out in the DevZone giving demos of the Alexa to anyone who’s interested. Michael Hunger wrote Importing Mapping Metaphor into Neo4j, in which he explained how to create a graph of metaphoric connections of the English language and run graph algorithms against it. Michael also created a short videoshowing how to import the data into Neo4j. The video of Michael Hunger’s talk from the GraphQL Berlin meetup – A Game of Data and GraphQL – is now available. Michael shows how to build a GraphQL schema on top of data loaded from An API of Ice and Fire, load and clean the data using APOC procedures, and then write queries in GraphiQL. In Better Data Import with GraphQL Michael Hunger explains the graphql-cli-loadtool he’s built to make it easier to load data into GraphQL backends. Marco Falcier released v1.3.0 of neo4j-versioner-core, a collection of procedures to help developers manage versioned graphs. This release contains several new procedures to make it easier to do common operations. If you haven’t seen neo4j-versioner-core, don’t forget to watch Episode #19 of the online meetup which covered this project. Adam Hopkins has written up his experience building an application using GraphQL, Neo4j, and Django. The Data Science Milan group recently hosted an event which focused on different data science applications that are made possible using graph databases. The video contains a mix of talks in English and Italian – the one in English is about 50 minutes in so if you’re language challenged like me you’ll want to skip forwards to there. This week on the podcast Rik interviewed Tomaz Bratanic, who’s written many great blog posts that we’ve featured in previous versions of TWIN4j. Tomaz and Rik talk about Tomaz’s move from playing poker to coding fulltime, why he loves the Cypher query language, and more!